If there’s one notion I wish I could forcibly implant into the minds of every person on the planet, it’s this: “Not everything can be seen in terms of black and white.” I’d mostly like to inject that into political discourse, but I’ll settle for applying it to free-to-play gaming. If you’re visiting this site, you probably like F2P games at least a little bit. But you probably dislike them to some extent, too. Sure, we see the occasional “ALL F2P = SCAM!! !” comments, but most people are willing to put up with a little bit of the negative aspects of F2P gaming while trying to maximize the positives. Sometimes, though, an unabashed F2P hater gets a larger forum than a comments section or the far-flung corners of Reddit. That seems to be the case with an article today on Gamasutra, written by first-time columnist Bobby Bernstein. While he’s a better writer than your typical Caps Lock-addicted troll, his opinion is basically the same: Free-to-play is 100% bad, full stop. I’ll agree with Bernstein’s basic sentiment that F2P isn’t the force it once was. I’ve said as much in columns on this site. It’s not the right decision for every game. And, personally, I’ve been enjoying pay-to-play, and even subscription-based games, as much as, or even more than, F2P games over the past several months. The endless microtransactions and paywalls can get to anyone, even me, and sometimes you need a break. I don’t even totally disagree with his assessment at the end of his opening, about how seeing a cool trailer for a game and then seeing it’ll be “free to play” can be depressing. Will some gamers not give F2P games a chance? Sure. Will significantly more check it out because it’s F2P? I’d say yes. There are plenty of games that I, and probably you, have tried because they’re free-to-play that we wouldn’t have if they were pay-to-play. 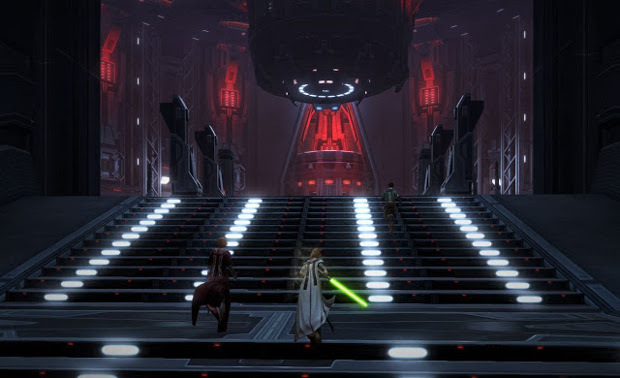 Some games, notably Dungeons & Dragons Online and Star Wars: The Old Republic, wouldn’t even be around today if they hadn’t been “saved” by free-to-play. True, SWTOR shouldn’t be held up as a shining example of F2P virtue (and times have changed since it went F2P in 2012), but articles on Gamasutra aren’t generally meant for consumers. They’re meant to advise developers and other people in the games industry. Saying free-to-play “should be entirely considered out of the question in 2017” is simply poor advice. That’s that absolutist attitude I brought up at the top of this article. Free-to-play works for some games, but not for others. A better approach would have been something along the lines of “F2P Might Not Be Your Savior.” Then again, it might. Funcom and Gearbox certainly hope so. It’s fine for a writer to inject some of his personal feelings into an article (he also suggests that, in place of F2P, the standard price for a game should be $40 instead of $60 — good luck enacting that, industry-wide — and he seems to come out against microtransactions in paid games … while lauding Overwatch and Final Fantasy XIV, both of which have microtransactions), but those have to be weighed against the larger group that he’s trying to categorize. It’s clear that Bernstein doesn’t like free-to-play, at all, and that is the essence of his column: I don’t like them, so they shouldn’t be made. At least he realizes it’s unfair.